Jay Edwards was born and raised right here in Southeast Ohio. He shares our faith, our values and our commitment to community – and to one another. Jay is a graduate of Nelsonville-York High School, excelling in the classroom and in sports. He earned a scholarship to Ohio University, where he received his Bachelor of Science degree in mathematics. Today, Jay lives in Nelsonville and works as a Realtor. He is a member of the Farm Bureau, Athens Area Chamber of Commerce, Nelsonville Chamber of Commerce, Nelsonville Rotary, Belpre Chamber of Commerce, Meigs County Chamber of Commerce, Marietta Area Chamber of Commerce and the National Rifle Association. 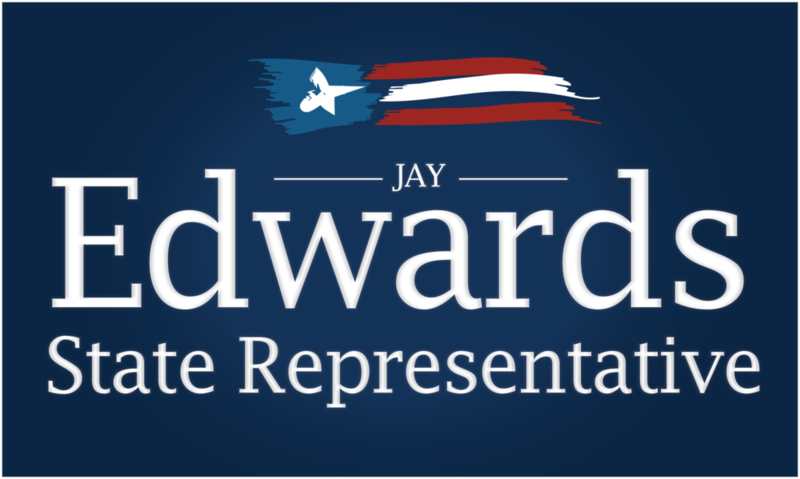 Jay Edwards is not a career politician. He is also an appointed member of the Athens County Transportation Improvement District and the Meigs County Transportation Improvement District. He's one of us.